Low-carb advocate Jimmy Moore recently had me back on his podcast as part of this ‘encore week’. Jimmy asked his guests to vote for which previous guest they would like to see back on his show and, flatteringly, I made the top 5. In our interview Jimmy and I discuss patient empowerment and some little things that can make a big difference to health and wellbeing. 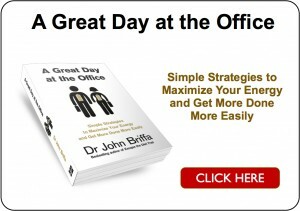 You can find Jimmy’s site here. Could sugary and diet soft drinks cause depression? I meet Jimmy at the Ancestral Health Conference at Harvard in August and he is a truly amazing guy. He has done more than just about anyone when it comes to understanding the importance and replacing carbohydrates with healthy fats even up the point of ketosis. The medical profession has forgotten that many tissues in our body function better using ketones for energy rather than glucose. This is especially true for the heart. Most physicians think that the brain is dependent on glucose for energy but it’s simply not true. Over time your brain can adjust to using ketones for energy. Coconut oil is a healthy fat loaded with medium chain triglycerides that are capable of providing ketones for energy. Remember, eating healthy fats don’t make you fat–that would be sugar and grain based carbohydrates. I listened to this Podcast today on a long commute home and thoroughly enjoyed it! I wish we had more doctors like you in the US! I especially love what you’re doing with random acts of kindness. It has inspired me to want to do the same! Loved the podcast too. I get the impression that many doctors resent the fact that you’ve done your own research and disregard what you’ve said if it is not in accordance with allopathic medicine or the status quo. I go private now. 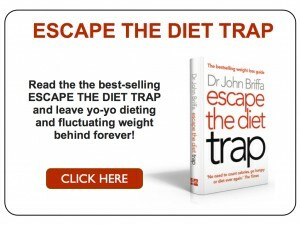 With regard to a point you mention early in the interview about major supermarkets stocking Escape The Diet Trap….. I spotted it whilst waiting to pay for my shopping last week. I was so pleased that more people can be exposed to your good work. I am forever grateful to the friend that introduced me to the book. Ten months on, I have dropped from a UK size 16 to an 8 & now consider myself a “fat-burner”. I have improved my lipid profile & now do not need to take the anti-hypertensives my GP prescribed. Can I stick to this way of eating? Hell, yeah. It’s a definite no-brainer. The comment from your patient “Why would I eat any other way?” really resonated with me. By the way, I had to muster up a lot of self-restraint to not grab the book & run round the shop raving about it.